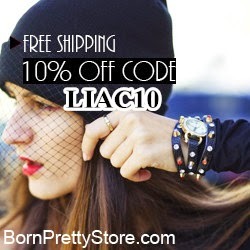 Omg Lia you look marvelous. I love the cute heart shirt and the cute scarf. I wanted to buy one heart printed shirt for a long time but I never found the right one. I can't believe the scarf was a magazine freebie. We don't get awesome stuff like that in the magazines haha. No you're not hallucinating. My sister used a semi-permanent hair color. It will wash out (it's already washed out I guess). I'm sorry to hear your still sick. Get well soon sweetie!! Thanks a lot sweetie. Same here, I wanted to buy it for a long time and finally there was a sale, so it cost me just 10 bucks. Haha yes, it was, that´s one of reasons why I like Elle magazine. Really not? Not even in Elle? such a shame on German Elle redaction. Hi my lovely Lia, I'm glad you're almost healthy again. 10 bucks wow that's a steal. I'll keep my eyes open. I don't think the Elle had freebies at all. Well I can't remember. There are other magazines but most of the time it's just a beauty sample. Nothing fancy haha. Have a wonderful day sweetie and get totally healthy soon!! I have the same shirt.... so lovely!!!! Oh Lia sorry to hear you're not feeling well. Here's hope for a speedy recovery (((((((())))))) You look stunning honey. Love the combo of red/black on you, and the heels, darling they are TO DIE FOR!!! Please take care of yourself honey pie. Dear Lia, so sorry that you are sick, hope you feel already better now! But what a lovely blouse, only watching this blouse opens my heart <3 I reorganized my closet also from summer to fall btw :) Take care of you! Wow. What a fashion shirt there. You look absolute fabulous even on your sick day:). Didn't we expected us to look fab on our sick day as well haha. You go printy girl - I went shopping today and I got more printy stuffs - I hope I can find more time to wear to post as same as other blogger does haha. You know what I mean? Busy girl. The scarf is way too cute and such a great touchy of a look. The shoes are very lovely pair to added as well:). We need to catch up with our daily news soon:). Wish you a completely recover by now sweetheart:) Also happy night at your place:). With love and kisses. Love the outfit. Cute shoes too! That top is really cute and the way you styled is perfect! Your heart print top is so pretty and I love your shoes! pretty shirt i've the same! I really love this shirt! Fantastic look!! Looking amazing with this cute shirt. I come back ...Just for one kiss Dear! The very best news going on now that we all heathy and hoping you are also compleately recoved honey:). How's school so far?:). Hope it is fun. Red is such a stunning color on you Lia - you always look gorgeous but these hearts are super super cute! Ta helenka se srdíčky je moc roztomilá! That's such a cute pattern on the shirt! Loveeee your shoes, are incredible..